Some fire engine limos are still in service so the fire engine you rent may well have been putting out a fire the night before. Other fire engine limos have been completely converted with plasma TV’s, luxury leather seating and massive quality sound systems. 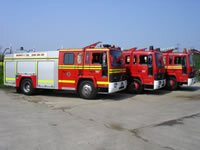 So you have a great choice when it comes to booking your fire engine limousine, the authentic or the luxurious.